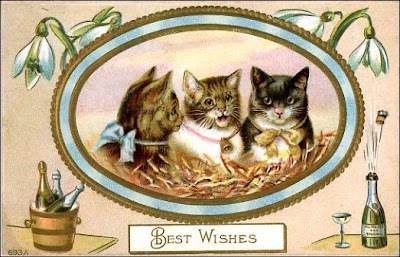 I think the old New Year's postcards are some of the quirkiest and most interesting. 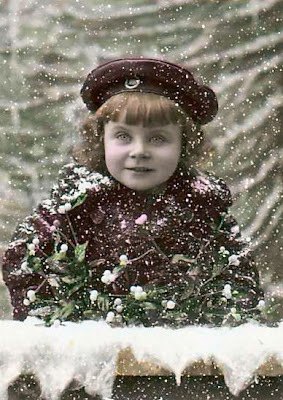 I wish you all a most happy, healthy and creativity-filled 2012! 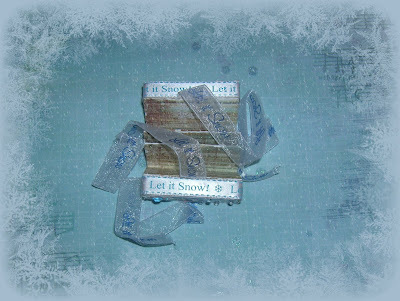 Signups are open now, right HERE, in my flickr group! 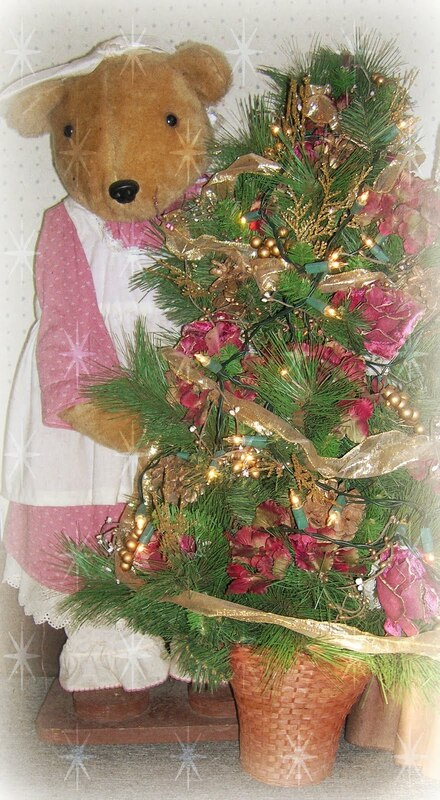 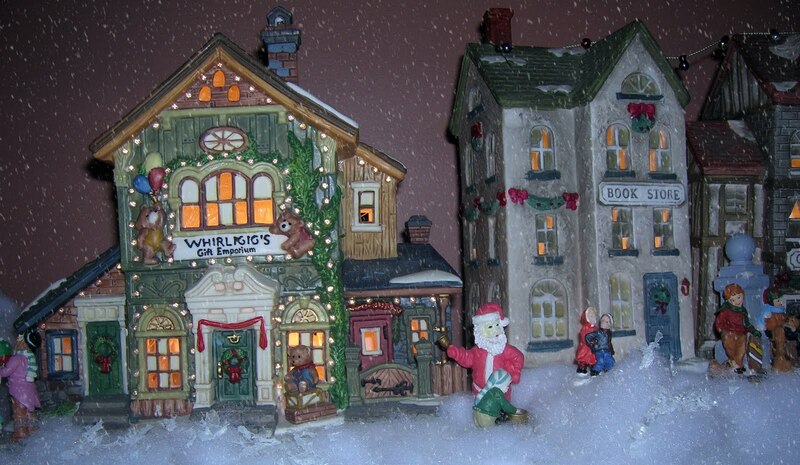 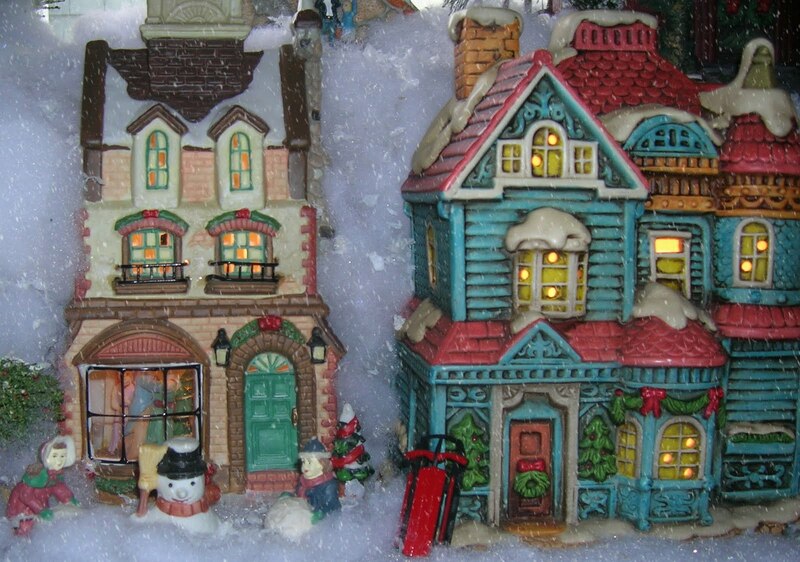 Wishing each of you a very merry Christmas and every happiness in the New Year! The white tree is a new addition this year. 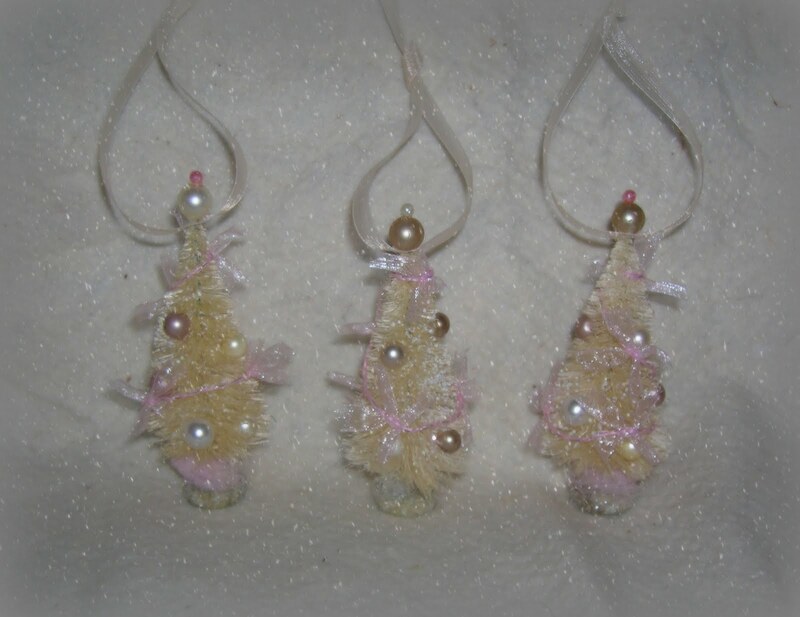 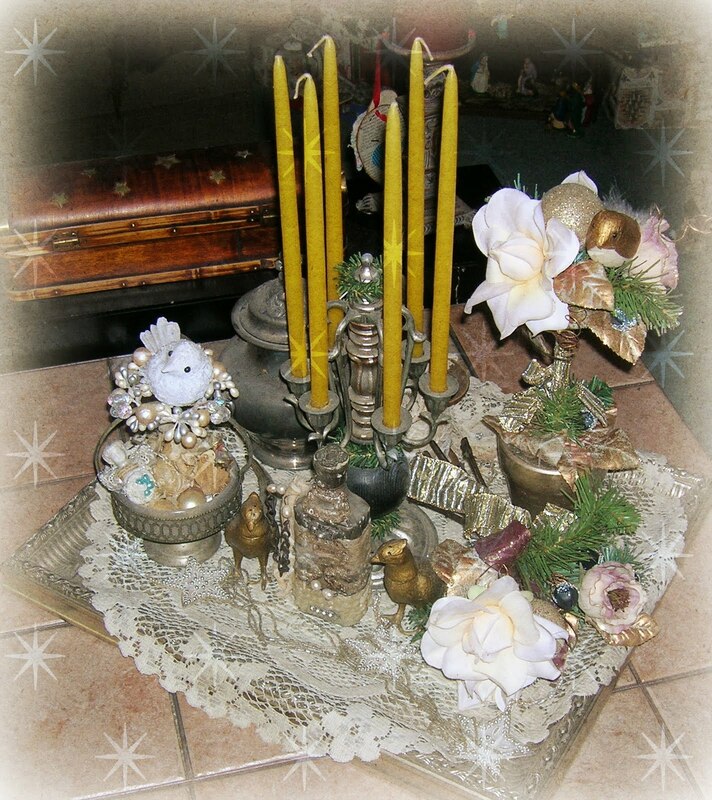 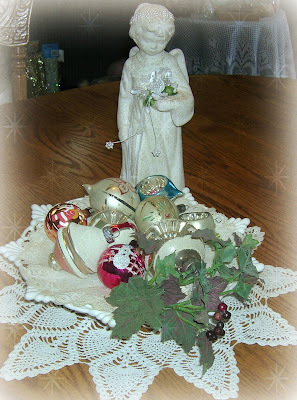 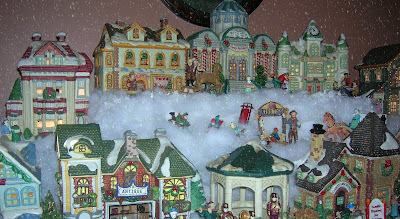 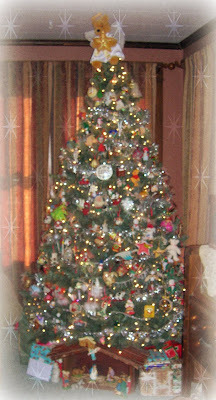 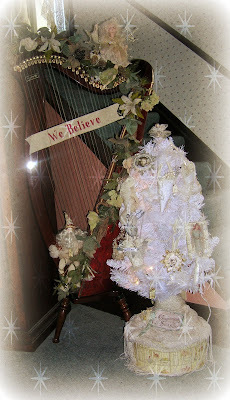 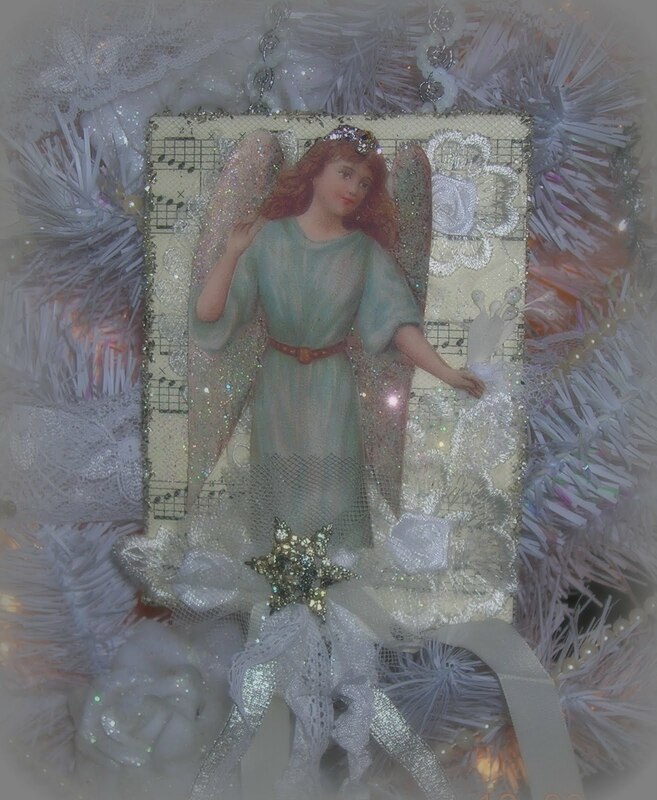 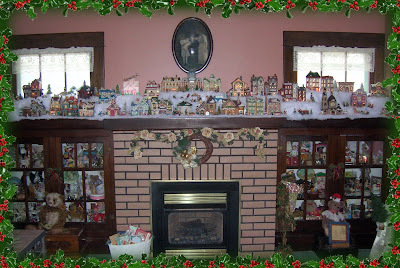 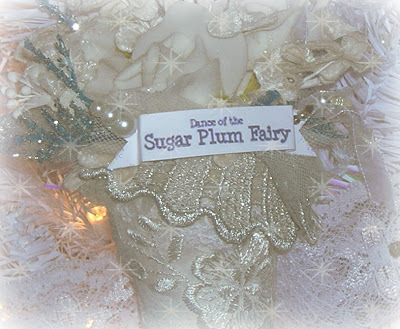 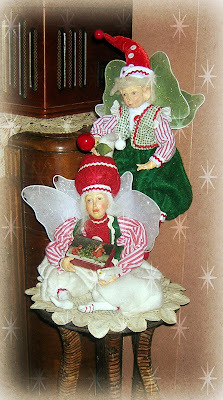 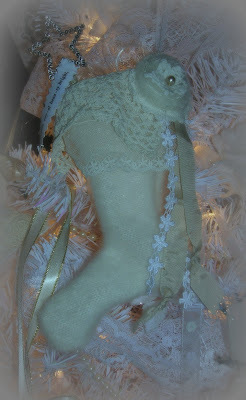 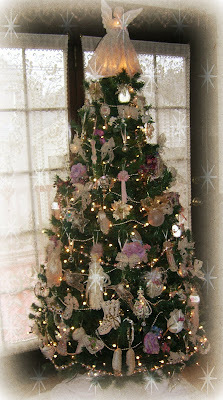 I wanted a special place to display the beautiful handmade ornaments swapped with my special blog friends. that adds one more touch of joy to the holidays! If you haven't already and would like to enter my giveaway, you can do that right HERE. 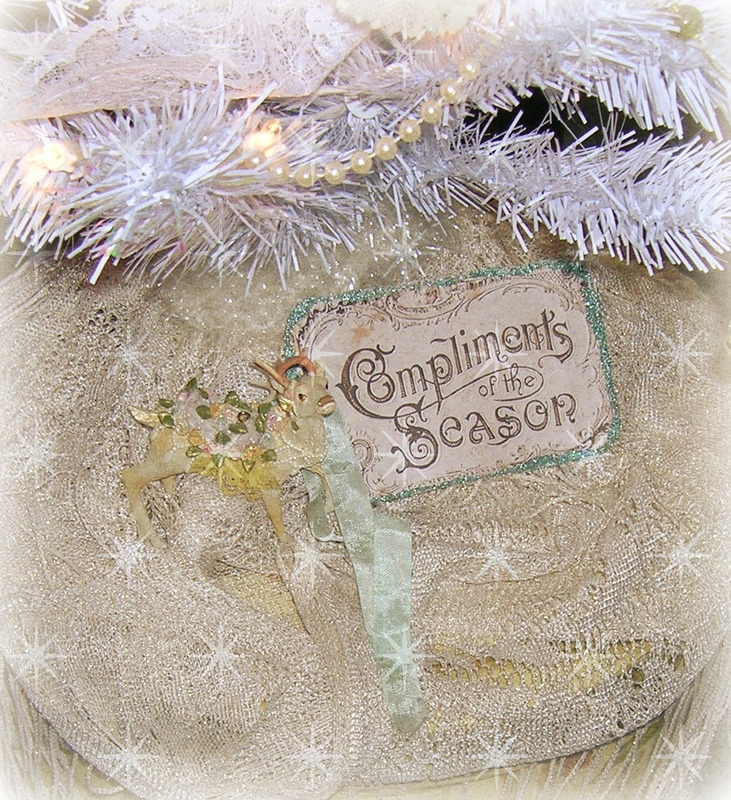 I haven't hosted a giveaway since Halloween? 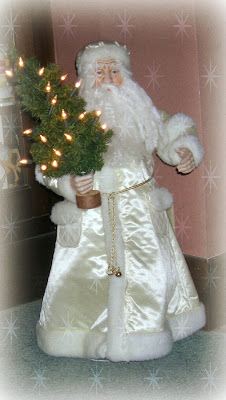 Shame on me! 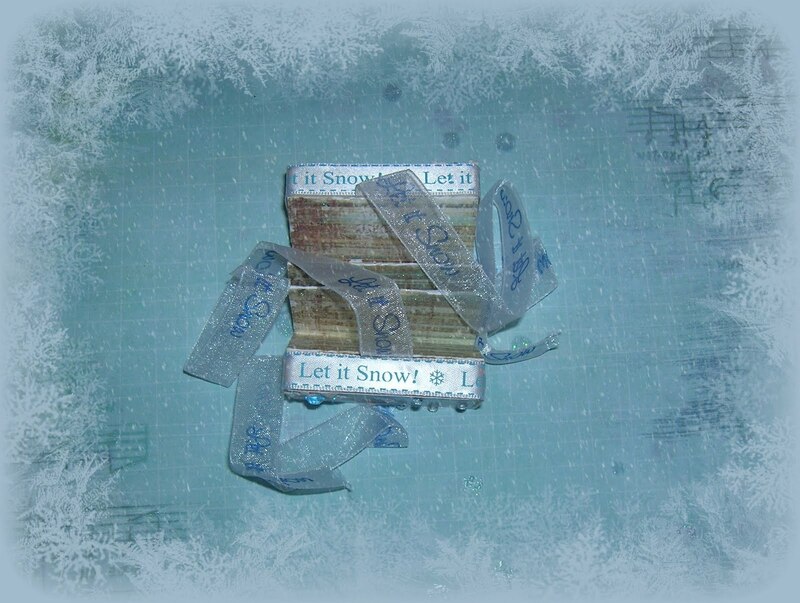 and ended up with this pretty snow-themed book, that will now be gifted to one of you. 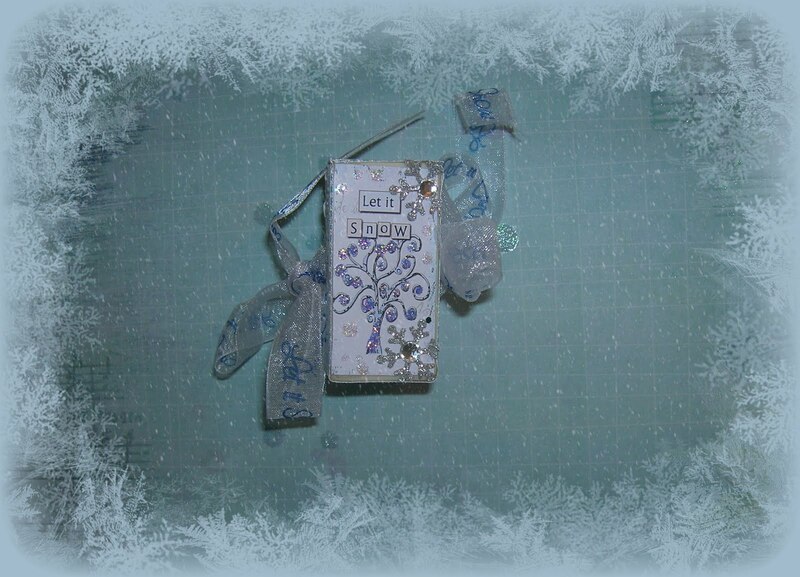 Leave a comment under this post for one chance, become or let me know you're a follower for another, and grab my giveaway button and link it back to me for two more chances. 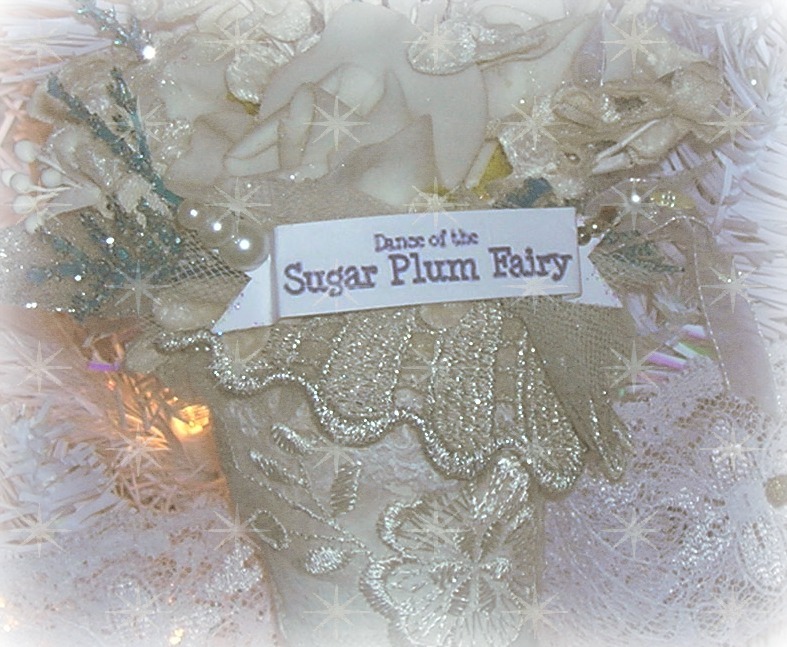 The winner will be announced January 15th. 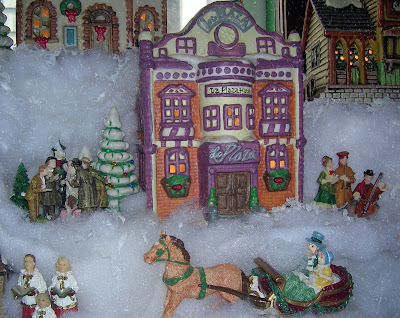 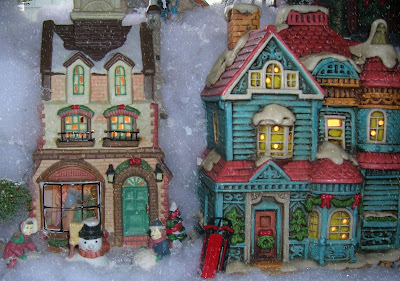 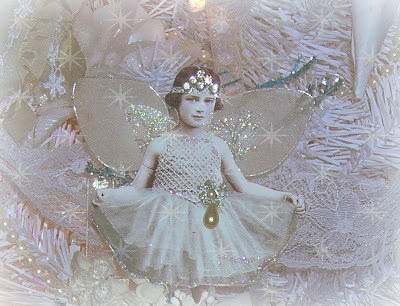 6th Annual Holiday Countdown and grabbing a free collage sheet every day. 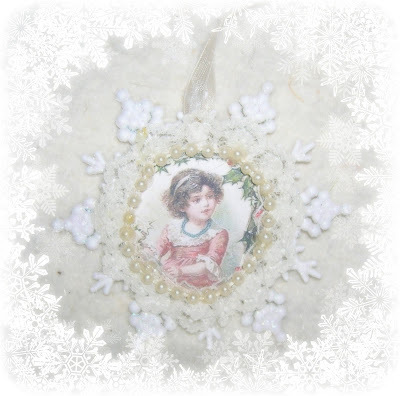 Is There Any Ornament as Pretty as a Handmade Ornament? 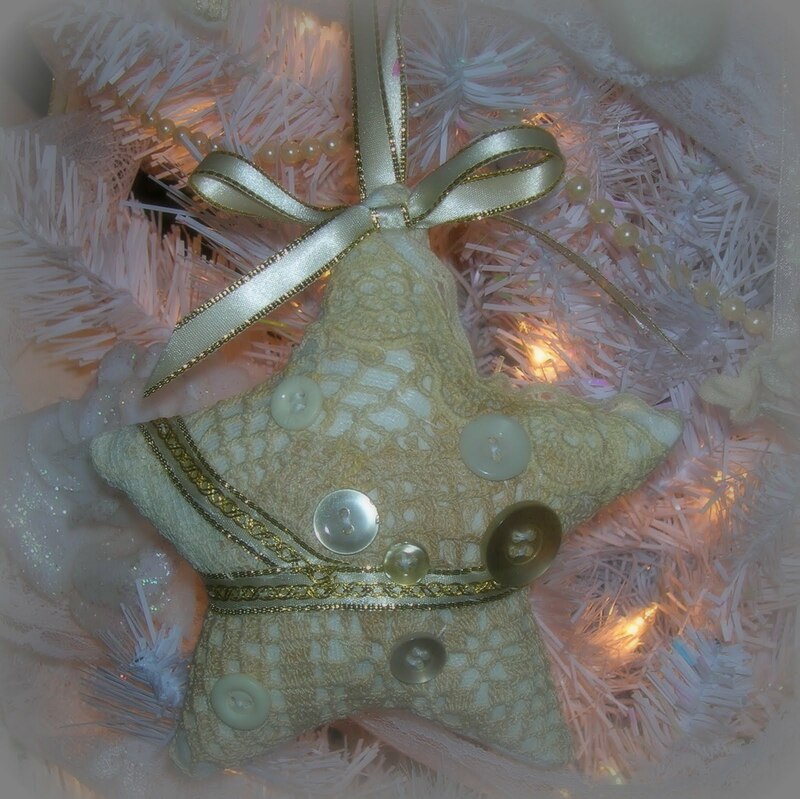 Cassandra hosted a handmade ornament swap placing us in groups of four and what a wonderful group it was! I received a trio of these amazing and exquisitely crafted fabric stars from Linda. 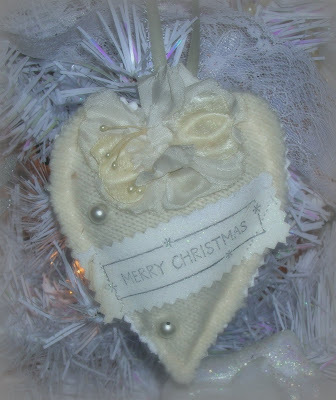 and a heart that captured my heart with it's vintage charm. I have long admired the sweet bottlebrush trees all over blogland. 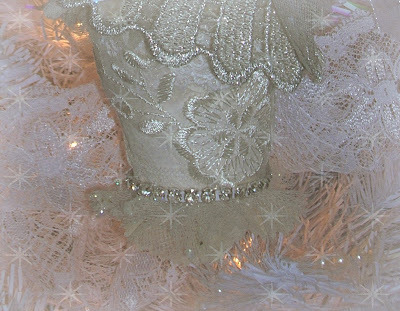 So I bleached and glittered then adorned with vintage tattered pearls and wired pink ribbon and gave each a tulle treeskirt to create these for my partners. 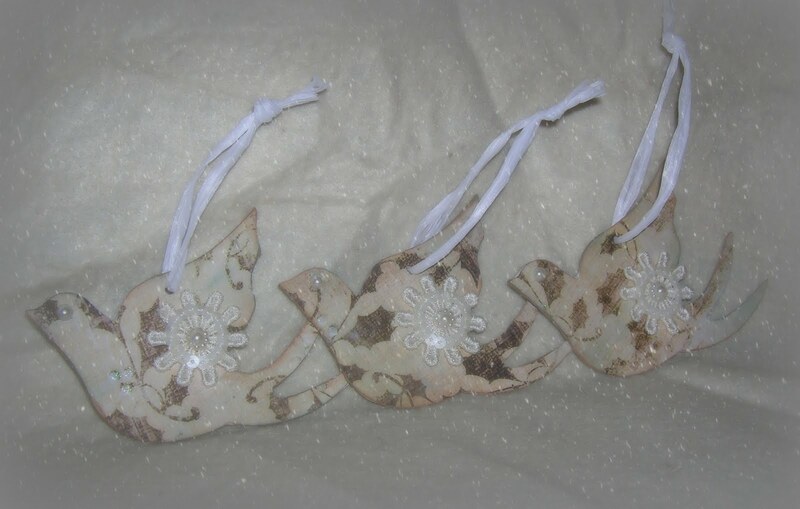 Chipboard doves I altered with scrapbook paper, inked and embellished. 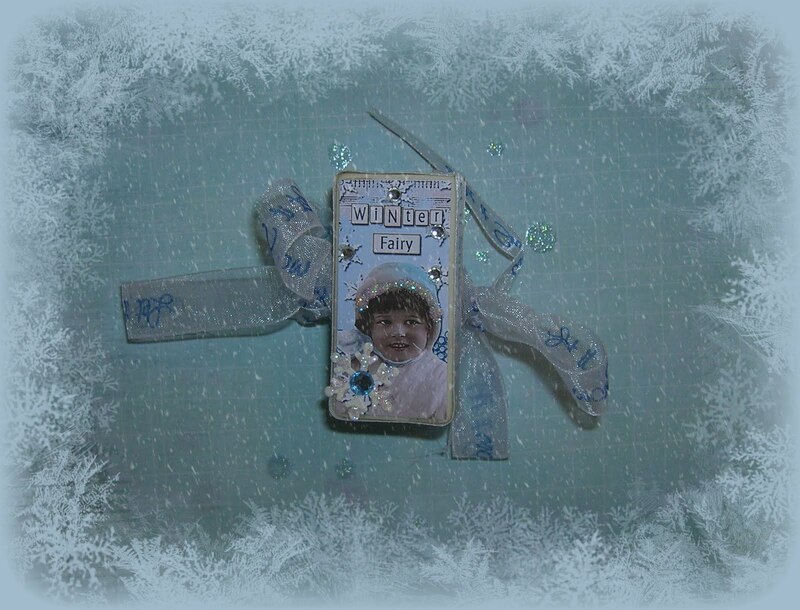 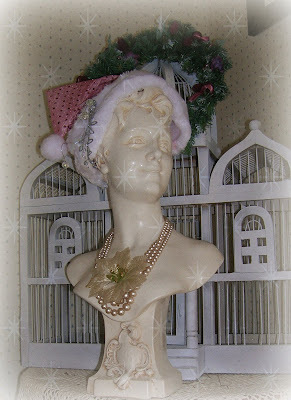 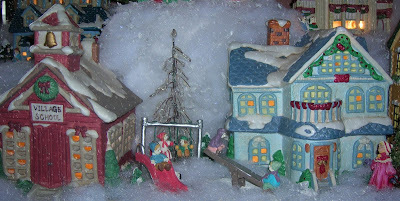 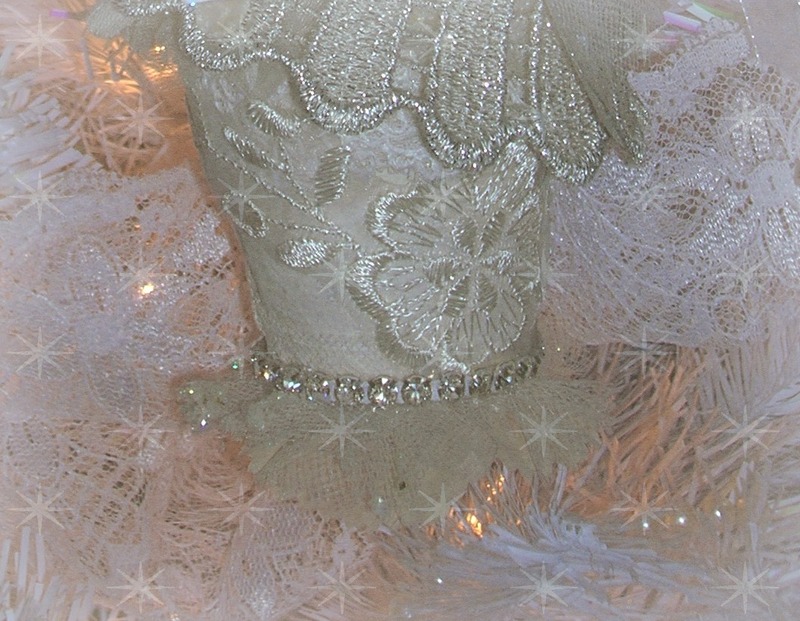 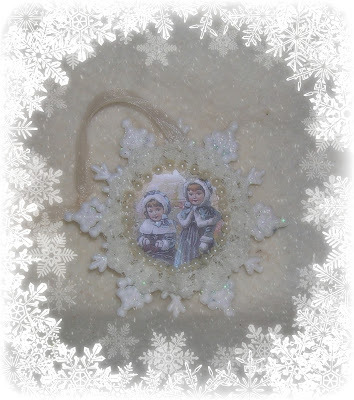 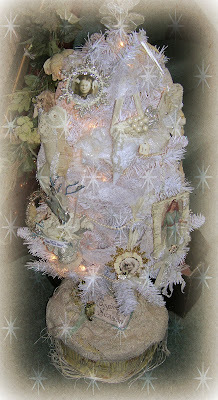 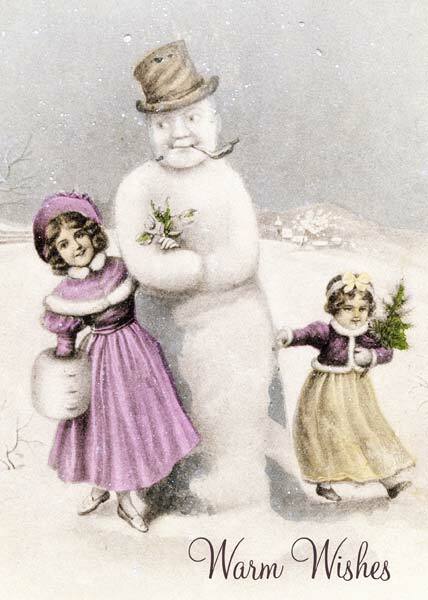 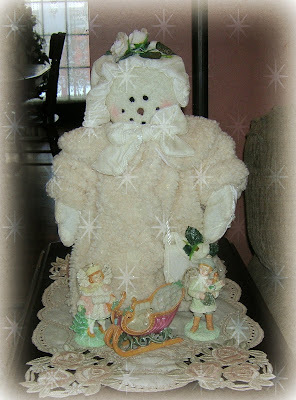 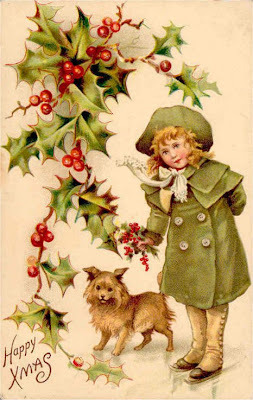 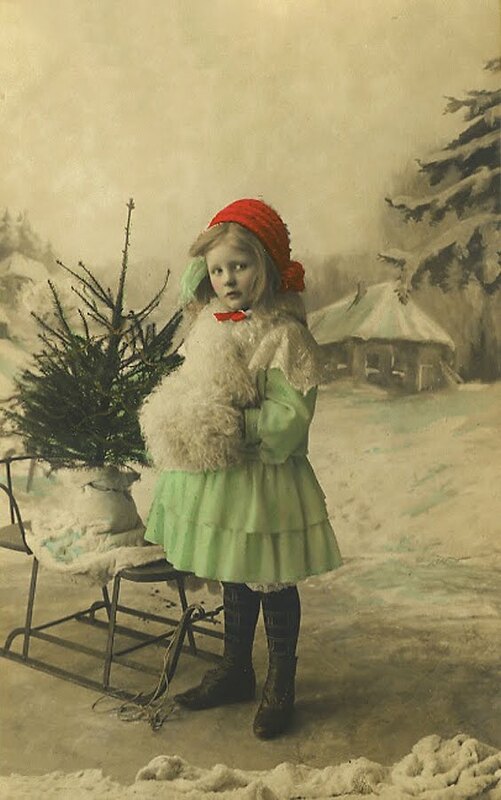 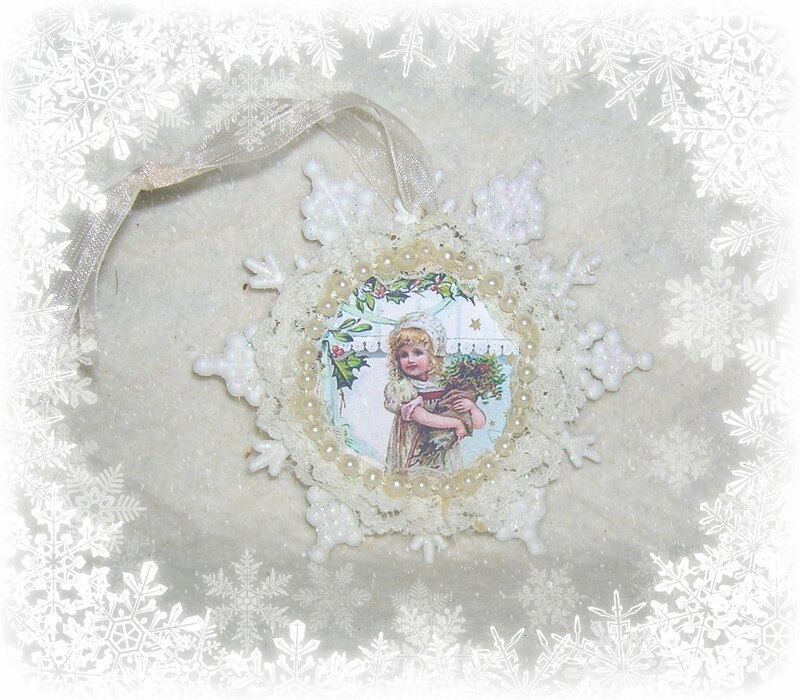 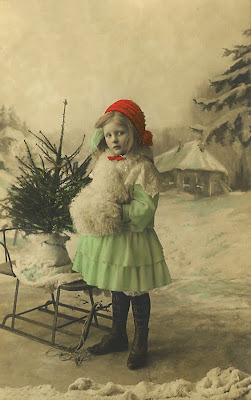 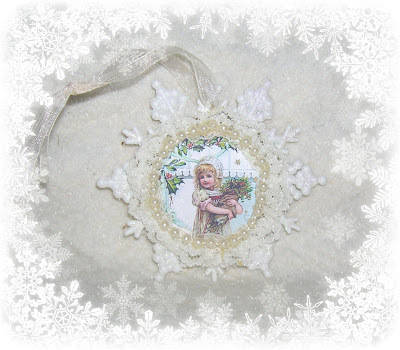 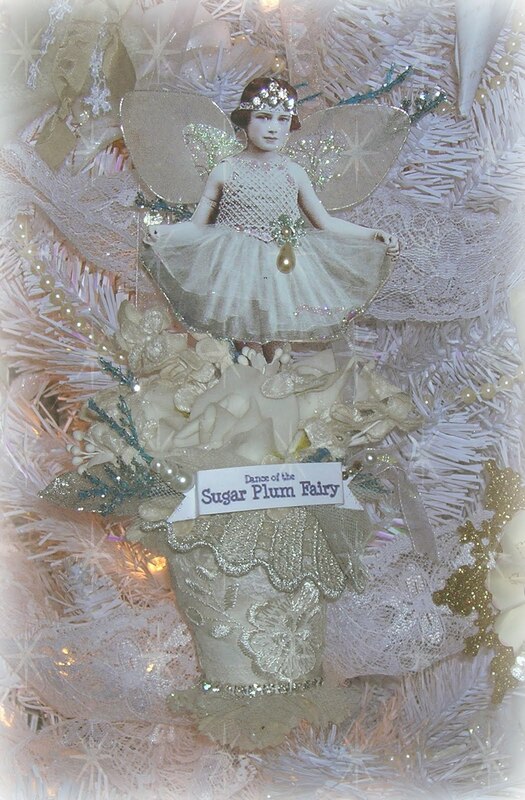 And my snowflakes hopefully capture the simple time of Christmas past with sweet vintage images edged in lace and pearls. No, I would never neglect my third partner, Erica! 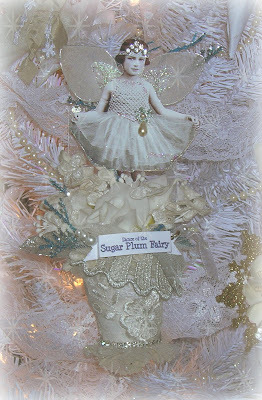 Her stunning ornaments arrived sooner than the others and I couldn't wait to share them, so scroll down to the next post for the ornament finale!